How do I sell stuff online? There are hundreds of different ways to implement e-commerce solutions on web sites. The first question to ask yourself is can I use out of the box shopping cart software programs or do I need a custom shopping cart solution? Out of the box software will be more affordable but customization is more difficult. A customized solution gives you total freedom but is more expensive. Another option is simply a one page e-commerce payment page with no shopping cart. We develop ecommerce web sites using Magento e-commerce software. There are a ton of shopping cart software packages available. Lots of them are good. We specialize in Magento so that we can build e-commerce web sites quickly without having to learn new software architecture. Magento software is open source free software. IDP charges for installation and integration of the software, building a custom magento skin, customizing the Magento templates, integrating merchant accounts and shipping, importing products and Magento hosting. Costs vary depending on the project. Most of our Magento e-commerce web sites cost between $5,000-$15,000. It is a wide range because Magento e-commerce projects are vastly different depending on the product data requirements, shipping requirements and other customization requirements. Basically, the more complicated your products are the more expensive it is to get them into Magento properly. The Magento shopping cart works with a MySQL database where you store your products, prices, catalog images, and customer data. An administrator CMS is included that you can log into and upload data into the database. The admin CMS is web based and can be accessed from any networked computer. You do not have to install software locally to administer the site. The software includes complete content management and product management by the client. You can login to the Magento control panel to manage the entire online store. You can read more about some of our Magento ECommerce websites on our blog. IDP also has a lot of experience with WordPress E-Commerce. Magento can be overly complicated and it is designed for online shops with thousands of products SKUs. A WordPress E-Commerce store is a great option for a retailer with a smaller number of product SKUs. We recommend WooCommerce for WordPress as the shopping cart. 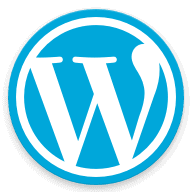 There are lots of available shopping carts for WordPress. WooCommerce is one of the most popular and we have a lot of experience developing WooCommerce websites. WooCommerce works great and IDP has developed many WordPress ecommerce sites running on WooCommerce. Many businesses prefer custom shopping cart solutions because they have very specific specifications for their e-commerce web site. Sometimes the design requirements require a custom solution. Or the products being sold may not “fit” within the traditional shopping cart model. Or the calculations that need to take place on the ordering page are too complex for pre-made software. The advantage of building a custom shopping cart is that you can tell us exactly how you want it to work and we will program it to your specifications. Sometimes a custom solution makes sense when you just need a small shopping cart added to an existing web site and you don’t need all of the functionality included with shopping cart software systems. We have developed a lot of small custom e-commerce systems for clients over the years. Prices for custom e-commerce solutions vary depending on the project. Generally speaking a custom ecommerce shopping care application would cost 2-3 times more than a Magento or WordPress site. SSL Encryption in order to protect the personal data on your web site.